A high quality tool that takes the guesswork out of identifying drill bits and screws. Drill Bit and Screw Gauge is made of hardened and ground carbon steel with size markings permanently etched. Gauge measures drill bits and wire from no. 1 through no. 60. 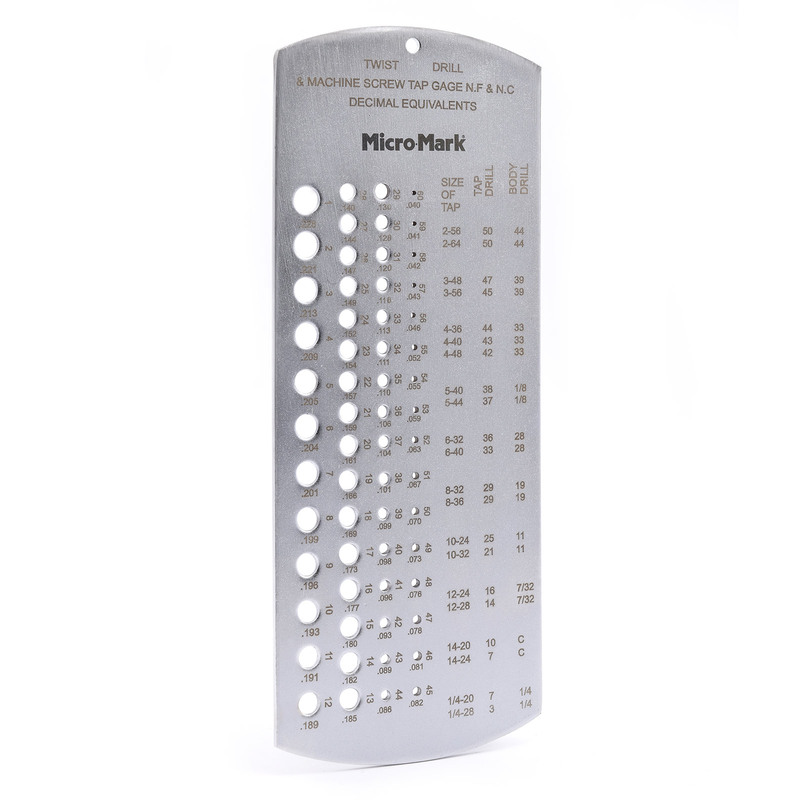 Includes decimal equivalents, tap, tap drill and body drill size chart for machine screw sizes from 2-56 through 1/4-28. Overall size: 2-1/2 inches x 6-1/2 inches.